Quality has many faces, and we take care of every single one. In doing so, the satisfaction of our customers always takes centre stage. The absolute must-haves for our products are innovation, simple operation and a good price. On the one hand, we work towards these through our cooperation with an industrial designer who designs and realises all product ranges on site. On the other hand, a large contribution is made towards this by our long-standing employees, with their great deal of technical experience and professional competence. After all, "Made in Germany" stands for high lasting value and high quality. 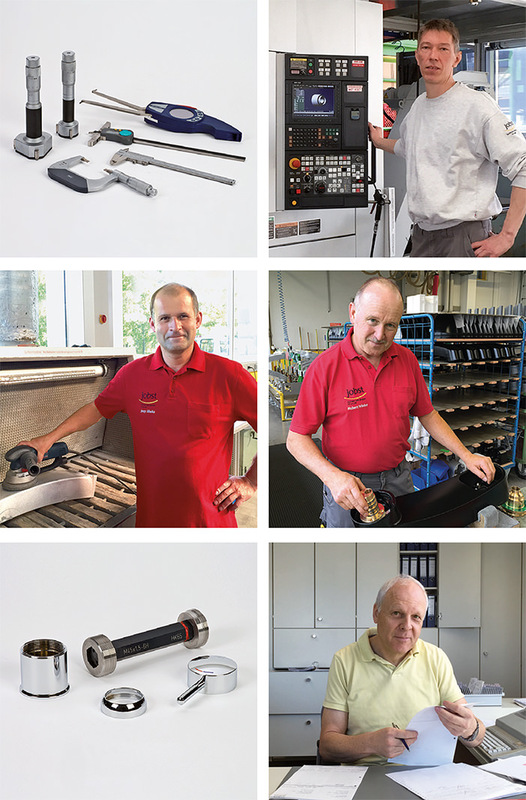 In our own industrial operation in Baden-Württemberg, we manufacture turned and milled parts on computer-controlled machines and carry out the fine processing of castings. We also carry out subsequent quality control on our own premises. As a matter of course, the final assembly of all products is included within our service. A plus point: due to the fact that we manufacture on site, our transport routes are short. This means that we save CO2.